Hosting Overseas – Is It Worth It? In today’s world, managing your website locally is possible without facing any inconveniences even when its server is located at the other end of the world. Today, you can stay in France, market your products in UK, and host the website in the US or any country across the world for that matter. When the question of choosing between overseas and local web hosting arises, most webmasters will not be able to make a decision. The point is that most of us don’t know the benefits of both these options. So we will simplify the solution to this question in this following guide. Let’s take a deeper look into these alternatives. An increasing number of webmasters prefer hosting their sites on servers located in other countries. Why are they doing so? There are many reasons behind this decision and they can vary from one site to another and from one niche to another. This is one of the reasons attributed to hosting on offshore servers, especially those placed in developing countries. The overhead costs are lower in these countries. This can include electricity costs, wages and taxes among other factors. Because the involved costs are lower, you can get access to lower prices and thus save a lot in the long-term for the same amount of reliability and security. Companies in countries such as the US, UK, or other European Countries pay higher taxes, higher wages due to a higher cost of living, and consequently minimum wage, in these countries, and must generate higher income to remain lucrative. It is not essential that the web hosting companies with servers in developing countries are actually from those countries. Your web host can be from the U.S. and have its servers located in Eastern Europe or South East Asia. Eventually, you will be getting the same benefits by spending less than half the amount. If you are hosting a website with content that may not be accepted in certain markets, you could host your site in another country. This could help you avoid any objections that may arise from the authorities or local communities. For example, many adult-oriented legal sites host their servers offshore to avoid all the complications of their local laws. If there are any benefits of hosting your website overseas, there are an equal number of reasons for hosting it locally. Some of the main ones are as following. When you host your website locally, it is going to run faster and perform better. A site hosted on overseas servers will take time to render your website content. This can affect speed and performance and cause user experience issues. If your customers are local, it is recommended to host on local servers. They will be able to browse your website easily, thus improving your site’s user experience. A person searching for your domain sitting in Germany will see your website’s rank higher in search engines, if your website is hosted in Germany. A person sitting in US and UK won’t see the same search engine results as the one sitting in Germany. You are aware that ranking affects the amount of traffic you get to your website, so before finalizing the country where you would want to host your website, think about the audience you want to target. Another advantage of choosing a local web host is that it will help you get local customer support. Isn’t it nice to call someone and actually be able to speak to them during “normal” hours? A host located in another part of the world will not be able to adapt to your local culture as well as a local company. So these are the main benefits of the two forms of hosting. The choice will eventually depend on your business niche and your preferences. 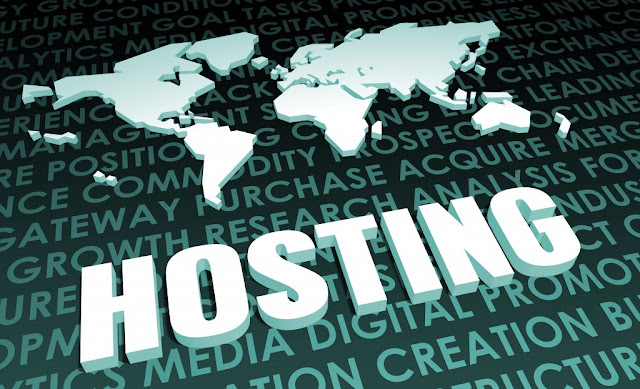 There is no denying that local hosting is the ideal option, but if your website has special needs that cannot be fulfilled through local hosting, you will have to consider web hosts that offer hosting on overseas servers. Consider all these factors before you choose where your website should be hosted.